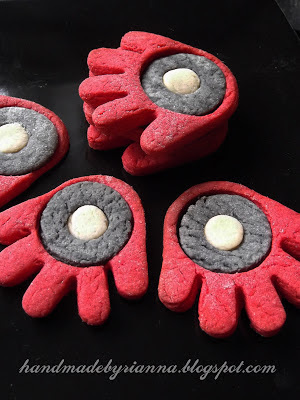 There are likely to be quite a few super hero party related posts soon, as for the past few weeks I've had my head down creating and baking for my Son's themed Birthday this Saturday. Add the salt and mix further. Tip out into a floured surface and divide into two halves, roll into balls and divid one ball into a 1/3 and 2/3 sized balls. The 1/3 ball of dough will be the centeral circle and does not require food coloring, so wrap in cling film and place in the fridge. Take the largest dough ball and apply red food coloring until happy with the red colour (if in doubt go brighter than you think as the red will fade with baking). 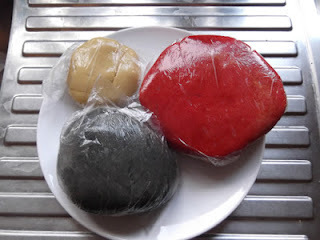 Form into a ball wrap in cling film and refridgerate. Take the remaining dough ball and add a enough black to make it grey (aim for dark grey as this will also fade). Wrap and place in the fridge. Leave dough in fridge for at least 2 hours. One ready preheat oven to 170°C (350°F). And grease and line your baking sheet. Flour 3 areas and roll out each dough to approximately 7mm thickness. 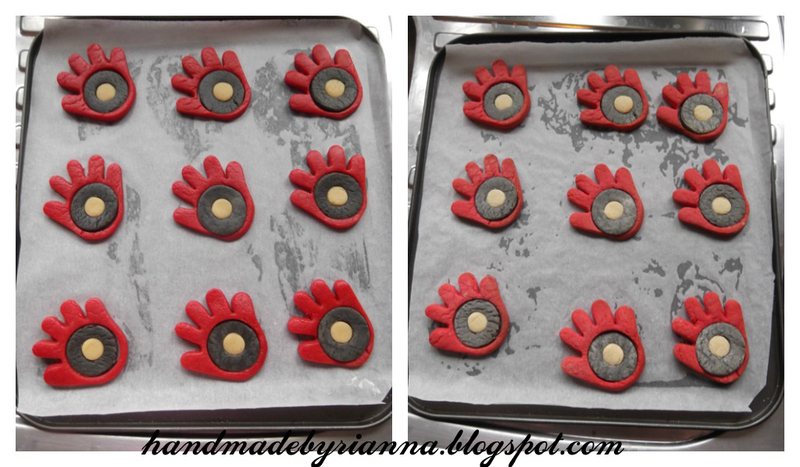 Cut hand shapes from the red dough and place on the baking sheet, take the larger circle and cut a circle from the palm. Next use the smallest cutter to cut a hole in the center of the grey circle and then cut a matching circle from the uncolored dough to plug the hole. Gently pat down the hands to close any gaps (the dough will expand slightly to fill the gaps but best to be sure). 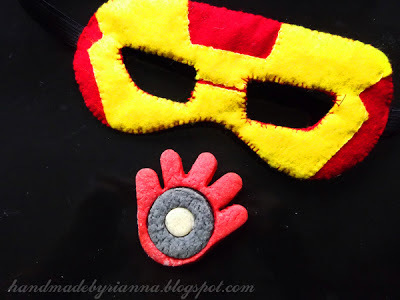 Super Hero Party: The finished result! My name is Rianna. I’m the proud Mum to a hilarious 6 year old boy and a daredevil daughter who is 4. Thanks for stopping by! Feedback always welcome! All the content featured here is original and my own work, if I have been inspired by another blog, article or recipe I will always credit. 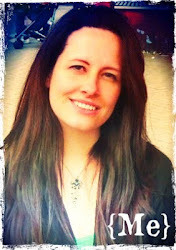 If you try an idea from here, leave a comment with a link I love to see what everyone's made. Please do not take content or photos to upload to other sites or blogs, although you are more than welcome to link back. My tutorials and suggestions are for personal use only, please don't reproduce for sale.